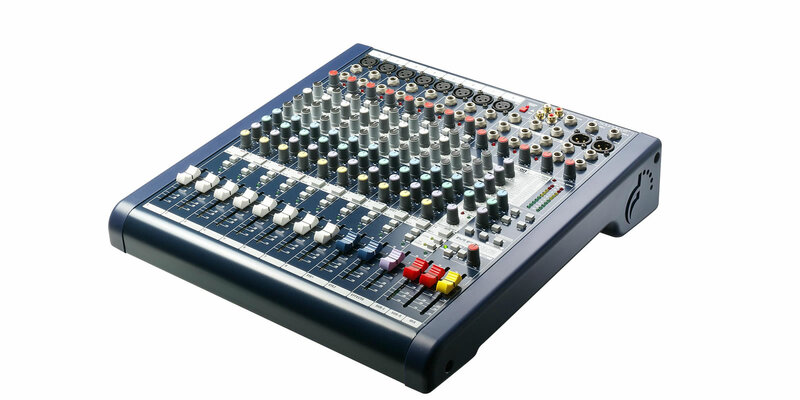 Soundcraft's MFXi mixers are compact and ideally equipped for live sound applications including fixed installations, houses of worship and portable PA.
8, 12 and 20 mono input MFXi mixers are empowered by built-in 24-bit Lexicon processing, delivering 32 stunning reverb, delay and chorus effects (see opening page). 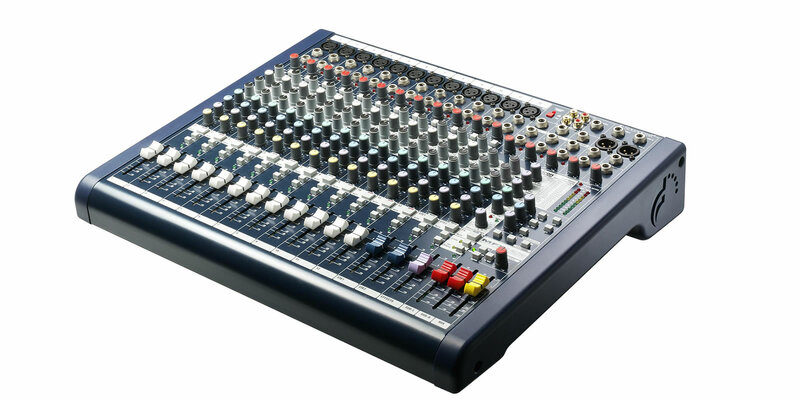 All MFXi mixers include 2 stereo input channels along with a 2-track record output and a 2-track replay input which allows interval music to be easily played from CD, MP3 or other music source. 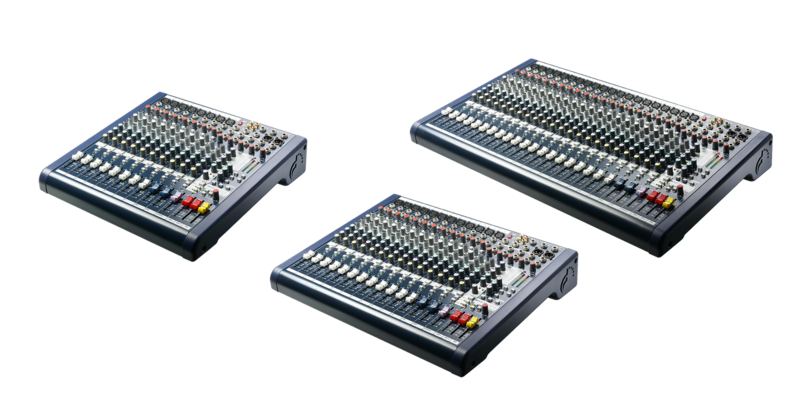 MFXi input channels feature an FX send to the internal Lexicon effects processor, along with 2 Aux sends for use with external processors, or to create a monitor mix. 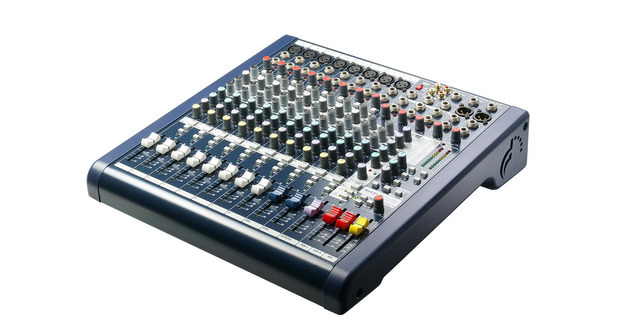 MFXi consoles include an additional stereo return to mix with its own level control. With no internal Lexicon effects, MPMi input channels replace the FX send with a third Aux send for operators preferring to use external effects. Input & Output Levels - Mic Inputs +15dBu max. 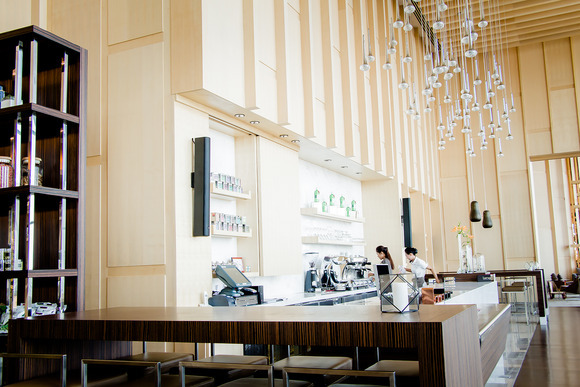 Input & Output Levels - Line Inputs +30dBu max. Input & Output Levels - Stereo Input +30dBu max. 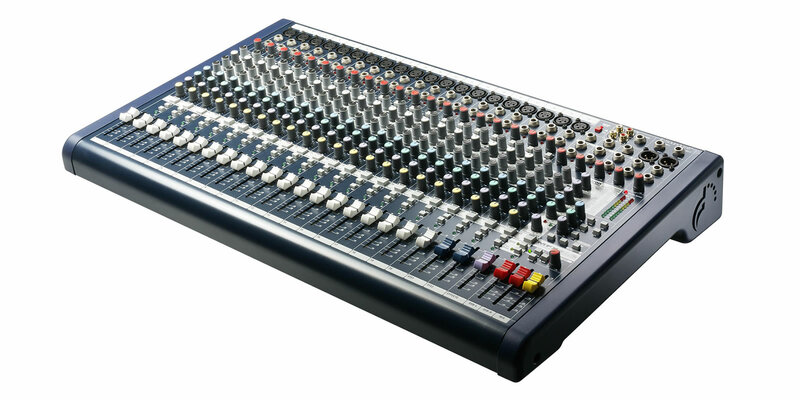 Input & Output Levels - Mix Output +20dBu max.